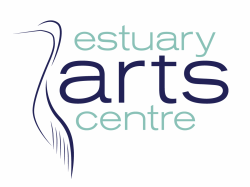 The Estuary Arts Centre is governed by the Estuary Arts Charitable Trust (EACT) who lease the building from the Auckland Council. The centre is staffed by a Centre Manager, Administrator and local volunteer members. The EACT is contracted, under the terms of its Deed of Lease with the Council to provide specific outcomes, including exhibitions, educational opportunities and activities for youth, disabled and other minority groups. The Trust is registered under the Charitable Trusts Act 1958 and The Charities Act 2005. The Charities Commission registration number is CC 35965. Stephen Lyttelton (Chair), Brent Ritchie (Vice Chair) , Robyn Tubb, William Trotter, Samantha Cranston, Jean Lonegan and Yvonne Copeland.